SCOTRAIL said it has secured an extra ten Class 365 electric units for the Edinburgh-Glasgow Queen Street route, where Hitachi Class 385s have yet to enter service because of visibility problems caused by the design of their curved windscreens. 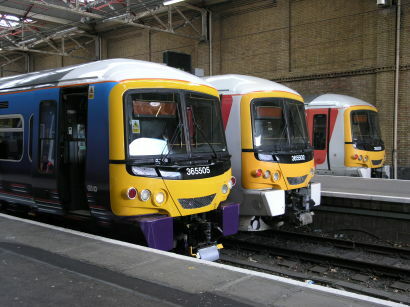 Some Class 170 diesels previously used on the route have been cascaded to England as a result of leases coming to an end, and the 365s will help to compensate for their departure. ScotRail said the 365s would ‘enter passenger service in the coming weeks’, but no date has yet been fixed for the arrival of the rectified 385s. ScotRail Alliance managing director Alex Hynes said: “I am delighted that we have secured an extra ten electric trains to boost the number of seats available by 17,200 a day.